Ten-year-old Annemarie Johansen and her best friend Ellen Rosen often think of life before the war. It’s now 1943 and their life in Copenhagen is filled with school, food shortages, and the Nazi soldiers marching through town. When the Jews of Denmark are “relocated,” Ellen moves in with the Johansens and pretends to be one of the family. Soon Annemarie is asked to go on a dangerous mission to save Ellen’s life. I had a sneaking suspicion before I suggested this title to Chrissi for our Kid-Lit list this year that I was going to enjoy it and I’ve got to say, I love it when my hunches about a novel are spot on! I’ve already read two books in Lowry’s infamous Giver series so I was aware of the power of her writing style and when reading the synopsis and discovering it was set during World War II (another of my favourite time periods to read about) I was quietly confident that I was on to a winner. I was anticipating an emotional and dramatic narrative considering the atrocities that were perpetuated against the Jewish people during the war but I wasn’t expecting such beautiful and understated characters that carried out unbelievable feats of bravery where it made for an astonishing and compelling read. Lois Lowry, author of Number The Stars. This is the story of ten year old Annemarie Johansen and her Jewish best friend, Ellen Rosen, two ordinary little girls living in Copenhagen, Denmark whose lives like everyone elses is turned upside down when Denmark surrenders to the Nazi’s and German soldiers enter their town, assuming control and terrifying everyone at any given opportunity. The brutality of the Nazi’s increases exponentially as they begin to carry out their twisted ideals in Copenhagen by slowly removing any Jewish members of the population. Desperate to help, Annemarie’s family takes Ellen into their home, pretending she is one of them and with the help of the Danish Resistance, make new plans to help all the other Jewish people in the town that haven’t already been “re-located” so they may escape almost inevitable death. King Christian X of Denmark making his regular pilgrimage by horse through Copenhagen in 1940, as referenced in Number The Stars. What a lovely and moving story this was! I’m always in two minds about how I feel after reading World War II narratives but I particularly enjoy reading stories set in different countries that I haven’t read about before so as to learn how they coped, especially if they had to suffer Nazi occupation. Part of me feels disgusted and devastated by the treatment shown, particularly to the Jewish contingent but another part of me is always compelled to keep reading and absorbing as much as I can about this terrible period of our worlds history, to ensure it is never forgotten and (fingers crossed) will hopefully never happen again. The story felt remarkably authentic and it’s obvious the author did her research on Denmark at this troubled time. I adored the inclusion of King Christian X who defiantly continued to ride through the town on his horse and see his people despite the ominous presence of the Nazi soldiers who wondered at his audacity! The fact that this actually used to happen made me feel quite emotional and it made me consider the terrible decision he had to make about surrendering to the Germans. Denmark was a small country with a relatively small army in comparison to the German military and I completely understand why he made the decision he did – in order to save many more lives than if he had stood against them in war. Number The Stars has an intriguing, very readable and gripping plot coupled with some fantastic characterisation in Annemarie and her family. Although Annemarie was perhaps the most developed of the characters (I would have liked to have known a bit more about the characters within the Danish Resistance), she was an instantly loveable and endearing part of the story and I appreciated her journey from a frightened ten year old girl to a brave, determined fighter who is put into the most horrific situations but takes it all in her stride in order to protect her friends and family. This is a stunning story with an important message and I really hope it continues to be read by children all over the world for years to come. COMING UP IN DECEMBER ON BETH AND CHRISSI DO KID-LIT: Time Travelling With A Hamster by Ross Welford. The Tattooist of Auschwitz is based on the true story of Lale and Gita Sokolov, two Slovakian Jews who survived Auschwitz and eventually made their home in Australia. In that terrible place, Lale was given the job of tattooing the prisoners marked for survival – literally scratching numbers into his fellow victims’ arms in indelible ink to create what would become one of the most potent symbols of the Holocaust. Lale used the infinitesimal freedom of movement that this position awarded him to exchange jewels and money taken from murdered Jews for food to keep others alive. If he had been caught, he would have been killed; many owed him their survival. There have been many books about the Holocaust – and there will be many more. What makes this one so memorable is Lale Sokolov’s incredible zest for life. He understood exactly what was in store for him and his fellow prisoners, and he was determined to survive – not just to survive but to leave the camp with his dignity and integrity intact, to live his life to the full. Terrible though this story is, it is also a story of hope and of courage. It is also – almost unbelievably – a love story. Waiting in line to be tattooed, terrified and shaking, was a young girl. For Lale – a dandy, a jack-the-lad, a bit of a chancer – it was love at first sight, and he determined not only to survive himself but to ensure that Gita did, too. His story – their story – will make you weep, but you will also find it uplifting. It shows the very best of humanity in the very worst of circumstances. Like many survivors, Lale and Gita told few people their story after the war. They eventually made their way to Australia, where they raised a son and had a successful life. But when Gita died, Lale felt he could no longer carry the burden of their past alone. He chose to tell his story. CHRISSI: This book has sensitive content. We’ve both read books about WWII before. How does this book compare to others in its genre? BETH: I think any book about World War II and the atrocities of The Holocaust is always going to be difficult to read but it’s actually one of my preferred periods of history to read about. I like hard-hitting topics that make me think and appreciate my own life a bit better and generally, whenever I read a book in this genre, I find out something brand new every single time. I thought it was a fascinating story that was all the more poignant for being based on real-life individuals. It was all the more unique for being told from the perspective of a character who was forced to tattoo those terrible numbers on the prisoners in Auschwitz. If I compared it to other books based around the same period like The Boy In The Striped Pyjamas by John Boyne, I don’t think I enjoyed it quite as much as the Boyne but it’s still an excellent read in the genre. BETH: Had Gita and Lale met in a more conventional way, would they have developed the same kind of relationship? How did their circumstances change the course of their romance? CHRISSI: Hmm. A really interesting question there. I’m not so sure they would have developed such an intense relationship. I feel that the environment they were in pushed them together and made them feel deeper than they may have done if they had met in a conventional way. They pretty much felt a connection instantly and didn’t really have outside influences that could change the course of their relationship. CHRISSI: Did this book make more of an impact on you because it was based on a true story from that time? BETH: For sure. I hadn’t realised when I first read the synopsis that it was based on people that actually existed and when you realise this as a reader, it automatically makes the novel even more moving and impactful. However, I think I was touched most by the extra parts of the novel i.e. the afterwords written by the author after the story ends. In particular, she talks about how she met Lale and what his drive was for getting this story published. To meet the man behind the character was a touch of brilliance and very emotional to read. BETH: In what ways was Lale a hero? In what ways was he an ordinary man? CHRISSI: I personally think that any person that experienced the Holocaust is a pretty heroic individual to me. I think Lale’s story is impressive because he tried to help those in need even though he was in a high place compared to others in the camp. I do think that Lale was quite selfless and wanted to improve lives of others that were struggling, despite the fact that it could get him into trouble. As for being an ordinary man? I think he had inner strength like many of us do, it’s just hidden sometimes. CHRISSI: How did you feel about Lale when he was first introduced, as he arrived in Auschwitz? How did your understanding of him change throughout the novel? BETH: This sounds terrible to say but I didn’t really like Lale when he was first introduced in the novel. He seemed quite cocksure and I didn’t particularly gel with his attitude towards women. He didn’t have a bad attitude, I hasten to add. In fact, he loved all women unreservedly. However, it was the way in which he was keen to share this with the reader that I didn’t really buy into. As he progresses through the novel, we see how much he suffers, watch him falling in love (even though it was pretty instantaneous and I wasn’t too sure about this part) but it’s his selflessness and determination to make life better for all other prisoners that I really ending up admiring and respecting about his character in the end. BETH: How does this novel change your perceptions about the Holocaust in particular, and war in general? What implications does this book hold for our own time? CHRISSI: I’m not so sure that it’s changed my perceptions of the Holocaust. I still think it was an awful, awful time (even though I do like to read about it!) What I did like about this book was that it gave a different, more hopeful approach. The fact that Lale went above and beyond for those suffering really made my heart happy. I love acts of kindness. I certainly think we could all learn from those acts of kindness that were carried out in recent times. CHRISSI: Discuss some of the small acts of humanity carried out by individuals in The Tattooist of Auschwitz. How did these small acts of kindness have greater implications? BETH: I don’t think any of us in the present time can ever imagine what it was like to be in a Nazi concentration camp and how difficult and brutal the conditions were for the prisoners. One of the things I enjoyed most about this novel was the risk certain individuals took, especially considering that they could have lost their own lives in the process just to make another person more comfortable or safe. The viciousness of the German guards never fails to shock and appal me but it’s through these tiny acts of kindness that you start to see hope for the human race in the future. It’s amazing how such tiny things can make a world of difference to someone suffering and it was truly heart-warming. BETH: Would you read another book by this author? CHRISSI: I think so. I did enjoy the author’s writing style and I tore through it! The story of a Jewish girl sent to Auschwitz with her family. She falls in love with the wrong boy – the German son of the camp commander. Hanna is a talented pianist, and the protected second daughter of middle class Hungarian Jews. Relatively late in World War II the Budapest Jews were rounded up and sent to Auschwitz. Hanna and her mother and sister are separated from her father. Her mother becomes increasingly mentally ill until she too is taken away somewhere. Her sister Erika is slowly starving to death. Hanna is quite a naïve 15-year-old but when presented with the opportunity to play piano for the camp commander, she is desperate to be chosen. She goes each day under guard to the commander’s house and stands waiting in case the commander should want some music. Also living in the house is the commander’s son, Karl. A handsome young man who seems completely disengaged from what is happening around him. Hanna hates him as he sits drawing in the music room. But the longer Hanna goes to the house, the more she realises there are other things going on. Secret things. Karl may not be the person she thinks he is. Before she knows it she has fallen in love with the wrong boy. The Wrong Boy was one of my must-read picks for Chrissi Cupboard Month back in December 2014 after once again my sister and fellow blogger Chrissi Reads begged me to read it. By the end, I think I loved it more than she did. I’m very interested in anything Holocaust related and a book from the point of view of a Jewish girl that is sent to a concentration camp instantly appealed. The story begins near the end of World War II where our main character Hanna is living in a Jewish ghetto with her parents and older sister, Erika. However, it is not long before German soldiers come to the ghetto, round up the entire Jewish community and ship them off to the terrifying camp of Auschwitz-Birkenau. The family barely have a chance to gather up some belongings but Hanna manages to take one of the black keys from her beloved piano as she is a talented pianist and had recently been offered a place at a prestigious music school. Not only is the journey to the camp bad enough as hundreds of people are packed into trucks like cattle but Hanna, her mother and her sister are separated from their father with no idea if they would ever meet again. Before he is led away, Hanna’s father manages to extract an emotional promise from her – that she would fight her hardest to survive this process so that she can tell people in the future exactly how they were treated. Once inside the camp the family are reduced to a pitiful and almost animal-like status where their heads are shaved, they are kept in uncomfortable and very cramped living quarters and are worked back-breakingly hard in the fields. They survive on meagre portions of food that reduce their bodies to mere skeletons where the tiny portions of bread that they eat are mould-infested and hard as bricks. Then there are the constant threats that they could be killed instantly just for not being able to stand up during the roll call every morning. What makes things worse is that Hanna’s sister Erika who is normally an outspoken and strong character seems to be fading away a little more each day while Hanna’s mother is sinking deep into the realms of insanity. One day, Hanna’s music teacher spots her amongst the prisoners and manages to engineer the chance for Hanna to audition to be the official pianist for the Commander of the camp. She secures the role and as a result is guaranteed to be in warm surroundings and to have a pair of shoes to wear. Although playing for the Commander and his silent and intimidating son Karl disgusts her Hanna sees it as a good opportunity to procure extra bits of food so that her sister can be encouraged to survive. However, Hanna isn’t expecting the effect the Commander’s son is going to have on her, especially when she discovers that he may be sympathetic to her situation. Soon Hanna finds herself in a very dangerous predicament of being in love with the wrong boy and, in a world where even playing the wrong note could be a death sentence for her Hanna is walking on a very thin tightrope if she is going to survive Auschwitz. I can’t recommend this book highly enough. It is an achingly beautiful and heart breaking account of a terrible period in our land’s history that we can only hope will never ever be repeated. I didn’t realise until the end of the book that the author’s father had actually survived the horror of Auschwitz himself. This gives a startling authenticity to her words and one can only imagine the brutality that the prisoners of the camps had to endure. Hanna is a wonderful, strong and incredibly brave heroine and I was rooting for her throughout the book as she falls in love for the first time in the worst possible circumstances with the most unsuitable partner at the wrong time! I don’t want to say too much about the ending but for me it was a perfect finale that still holds that glimmer of sadness. This is a really thought-provoking and thrilling read and I’m looking forward to picking up The Tattooed Flower which is a non-fiction account of the author’s fathers’ time in Auschwitz. In the outlandishly dark “Camp Sundown” vigilante justice is undertaken by a group of geriatric campers in a bucolic summer enclave. Camp Sundown has to be one of my favourites in this collection, the subject matter is fairly dark (which I love!) and the writing so compelling that I found myself really caring about what happened to these characters, despite having “known” them only a short space of time. Nathan Englander’s main character is Josh who is the new director at a Jewish summer camp for the elderly and replacing Rabbi Himmelman who was rumoured to have left under suspicious circumstances i.e. a bit of inappropriate fondling. Josh is enjoying his time managing the camp but this year is having a bit of an issue with two residents in particular, seventy-six year old Agnes Brown and her sidekick Arnie who appear to make a habit of complaining about something every year that they stay there. This year however their complaint is of a more serious nature, accusing one of their fellow residents, Doley Falk of being a Nazi and demanding justice in the form of a camp trial so that he can be formally ostracised. Josh is appalled at their accusation and demands that they leave the old man alone but they are pretty determined, insisting that they recognise his face from one of the concentration camps – Arnie displaying his numbered arm as proof that he was incarcerated in one. What Josh cannot fathom is just how far the elderly residents will be prepared to go in their quest for vengeance and whether these actions are right or wrong. I find any story involving The Holocaust fascinating and this dark little tale was just that. We are never told whether Doley Falk is in fact a Nazi in hiding but Agnes and Arnie are so insistent that even Josh himself, a fairly tolerant person, finds himself questioning whether Doley is guilty. As with the other stories in this collection I loved learning more about the Jewish religion and really enjoyed the black humour that appears to be Englander’s trademark. The only thing I wasn’t completely certain of was the ending. In one sense it was genius and definitely had the shock factor but on the other side it felt like too much of a cliffhanger and I was frustrated that too many things were left up in the air. I suppose your imagination could fill in the blanks! Sage Singer befriends an old man who’s particularly beloved in her community. Josef Weber is everyone’s favorite retired teacher and Little League coach. They strike up a friendship at the bakery where Sage works. One day he asks Sage for a favor: to kill him. Shocked, Sage refuses…and then he confesses his darkest secret – he deserves to die, because he was a Nazi SS guard. Complicating the matter? Sage’s grandmother is a Holocaust survivor. What do you do when evil lives next door? Can someone who’s committed a truly heinous act ever atone for it with subsequent good behavior? Should you offer forgiveness to someone if you aren’t the party who was wronged? And most of all – if Sage even considers his request – is it murder, or justice? Chrissi: The Storyteller is emotional from the get go. Did it affect your reading experience? Beth: I have to say it definitely did. A word that would describe it perfectly is “intense.” I haven’t read much about the Holocaust yet, as just the mere thought of it disgusts me but I was interested to read this book by Jodi Picoult as I haven’t enjoyed her latest books as much as I thought I would. (My Sisters Keeper remains one of my all time favourite books). What I wasn’t expected is the emotional roller-coaster ride of emotions that this novel took me on. At times I had to put the book down and remind myself to breathe because I was so enraptured and emotionally drained by the story. Beth: How did you feel about the characters in this story? Any favourites? Chrissi: I thought the characters were really strong in this book. They were really well developed and carefully considered. I particularly liked Sage. I thought she was a strong character. I actually preferred reading from her point of view. I really felt for her. I did think that we could’ve heard more from Minka and Josef’s point of view. But, because I really liked Sage, it didn’t matter to much to me. Chrissi: The Storyteller uses multiple points of view. Do you think this worked? Beth: To be perfectly honest, I think this book would have worked without the multiple points of view. The story is strong enough and written in such a way that we didn’t need multiple narrators. Not that this is a bad thing, and it didn’t take anything away from the story, but I didn’t get any more out of it because it used different points of view. Does that make any sense?! Beth: How did the author explore sibling relationships in this story? i.e. Sage and her sisters, Minka and her sister Basia, Franz and his brother Reiner. Chrissi: I think it was interesting to see so many sibling relationships within the story. I got the impression that Jodi really wanted to explore the complexities of sibling relationships. There can often be much resentment and jealousy, especially when parents seem to favour one over the other (Franz and Reiner). Chrissi: “Truth is so much harder than fiction.” Do you agree with this statement in relation to reading a book about such a contentious issue? Is reading about something that actually happened in history a lot harder than reading about something that’s made up? Beth: That’s a tricky one. I think it probably depends on the author and how well they write. Saying that though, I think one of the reasons I was so emotionally affected by this book is because it actually happened. And that there are still people out there denying it. It’s crazy. Its obvious by the amount of detail in the book though that the author has done her research meticulously, and it was probably harder to write than it was to read. Beth: Have you read any previous material about the Holocaust (fiction or non-fiction)? Would reading this book make you want to read more about it? Chrissi: I have read other books about the Holocaust. 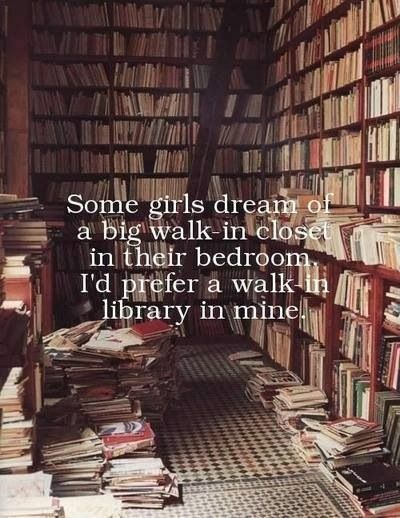 Mainly fiction, it has to be said. I did think ‘Oh here we go again…’ when I started it, because I really thought it was going to be just another book about the Holocaust. I don’t know why I thought that though as everything that I’ve read about the Holocaust, has been powerful and compelling. The same goes for The Storyteller. Chrissi: “Forgiving isn’t something you do for someone else. It’s something you do for yourself.” Do you agree with this? Can you ever forgive and forget? Beth: I definitely agree with that statement. I think that if you haven’t forgiven for yourself, deep down it was always haunt you and return to worry you. But I also think that although we have the capacity to forgive other people, I don’t think it’s half as easy to forget, and the experience may always stay with you because of this. Beth: I never saw the ending coming. Did you? Chrissi: Definitely not. I have in the past found some of Jodi Picoult’s novels to be a bit predictable. I was very glad that I couldn’t see what was going to happen coming. I love that shocking moment when all is revealed and you had no idea! 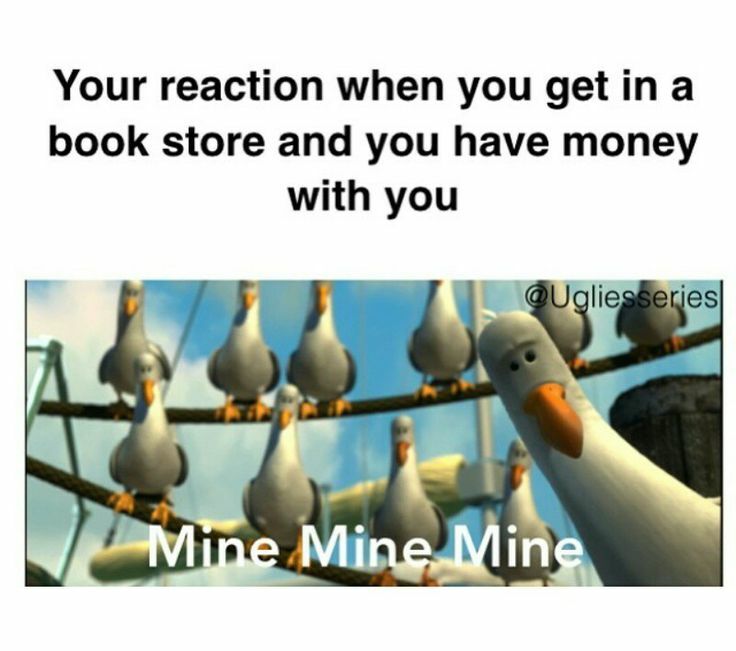 That moment really shows that it’s been a really good book! Chrissi: Would you have forgiven Josef? Why do you think Josef lied? Beth: Hoping to not come across as cold and unfeeling but no, I don’t think I would have been able to forgive Josef. The atrocities that were committed against Jews were so disgusting and diabolical that I think it would be very difficult for anyone to forgive. As for why Josef lied, I think in the end he was just protecting his brother, and was looking for atonement for his own mistakes. Beth: How does this book differ from other works you have read by the author? Chrissi: Something that massively stands out for me is that there’s no trial. It might sound stupid, but I’ve felt like every recent Jodi Picoult book has followed the same formula. I liked that there was a Jodi Picoult change of direction!